Riverside Heating and Air offer you their highly experienced system installation and duct cleaning services from Mount Sterling, Kentucky. We perform full system installation in new constructions. We will set up energy management systems and make sure the house is configured correctly for the system. Finally we ensure we have installed the duct system properly and that it is the right size for the home. We take extra care to make sure our clients know what kind of filter to use in their systems. We offer suggestions when we install anything on how to make sure the system functions at its most efficient level. We have found a lot of cases where leaks have developed within the system because of neglect. This inhibits the system from running at its optimal efficiency level. 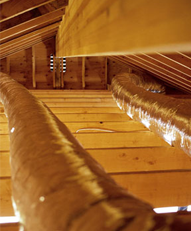 To combat these issues, we have technicians who fully clean,sanitize, then seal the air duct system, then certified technicians are available to do the heating and air blower compartments, and coil areas. The technicians will also check for air leaks and give recommendations. These checks to your entire system are to ensure your air is at peak quality and sanitized. A lot of our competitors are not certified, so if you don't enlist our services please be sure to check for authentic certification. Contact us today to learn more about our experienced air conditioning service.